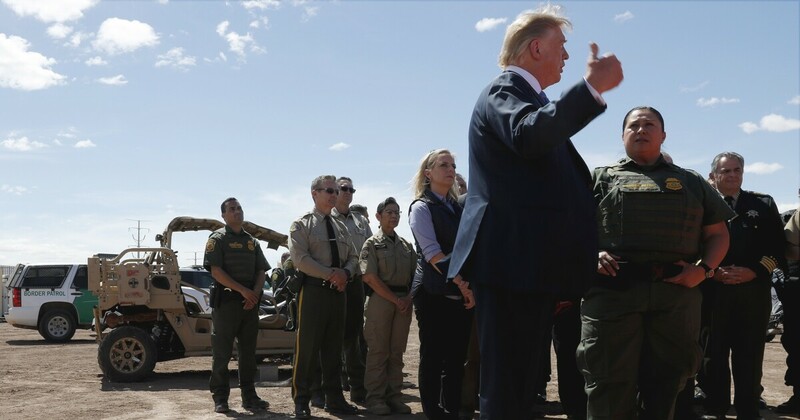 P resident Trump reportedly entitled Border Patrol agents at the southern border to break the law and not let migrants into the country. After Trump departed, Border Patrol leaders told their agents to ignore the president's comments because they would be breaking the law. 2 percent more illegal aliens in fiscal 2019 compared to the same timeframe in fiscal 2018 attempting to enter the country hidden in train." The agency noted that many of those arrested are criminals coming from South America's Northern Triangle region. At the Republican Jewish Leadership Coalition's annual meeting in Las Vegas on Saturday, Trump knocked the 9th US Circuit Court of Appeals and said of the border: "We're full. Our system is full. Our country is full … I'm sorry, it's very simple." The anecdote from Calexico comes during a tense time for border security. Homeland Security Secretary Kirstjen Nielsen was pushed to submit her resignation Sunday after a heated meeting about the border and immigration.